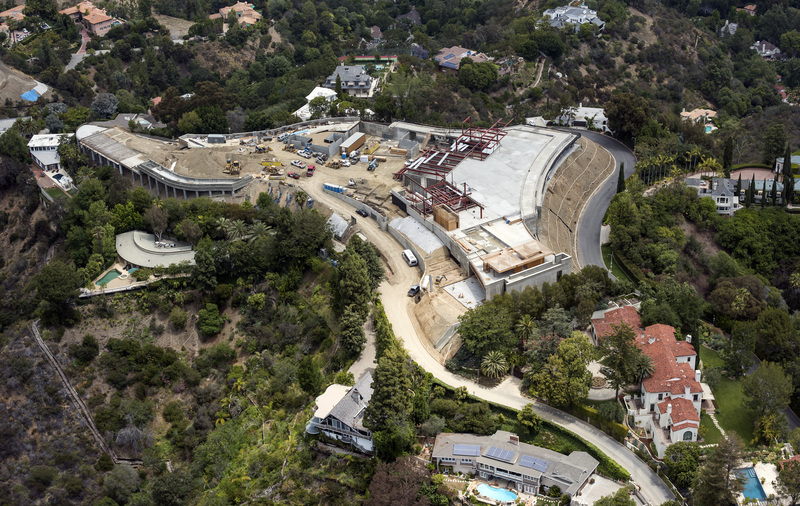 Rendering of Niami's under-construction mansion in L.A.’s Bel Air neighborhood. The "jelly fish room" has tanks on three walls and a light-changing ceiling. McClean, who also designed a 14,000-square-foot spec house down the hill from Niami’s project, is known for creating sleek hillside mansions sold to entertainers and technology executives such as Tyler and Cameron Winklevoss -- an enlarged, updated interpretation of the style pioneered by 20th-century Southern California modernist architect Richard Neutra. McClean said he studied commercial buildings such as hotels, museums and art galleries for his latest design.